Limited to 12 bottles per order! 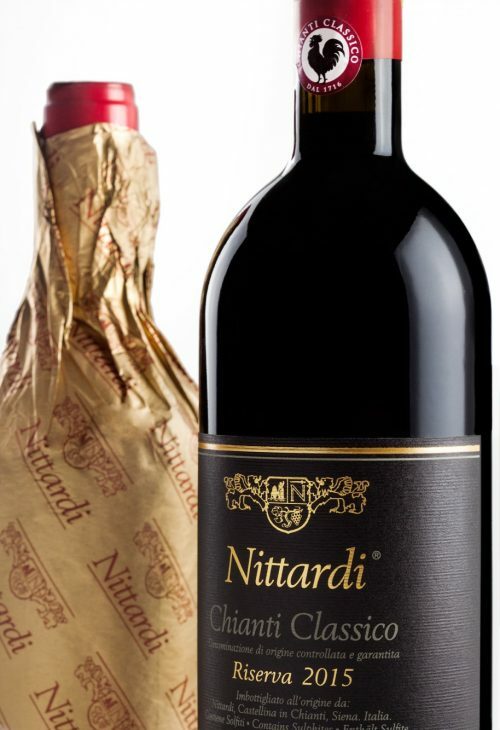 Nittardi Riserva Selezionata is released only in the best years. This special selection is grown on the southern slope of the hillside Vigna Alta, at almost 500 m (1,640 ft.) above sea level. This vino da meditazione combines the best aspects of the Nittardi terroir with the philosophy of our oenologist Carlo Ferrini. Internationally respected wine guides such as Gambero Rosso, Vini d’Italia, Decanter and Wine regularly give Nittardi Riserva the highest of ratings. Gambero Rosso for vintage 2011 and 2013: 3 red glasses! 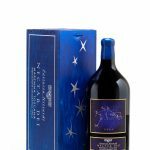 Vintage 2015 celebrates the 30th Anniversary of Nittardi Riserva – with a special golden wrapping paper! 50,66 EUR/L. Inkl. Mwst. Enthält Sulfite. 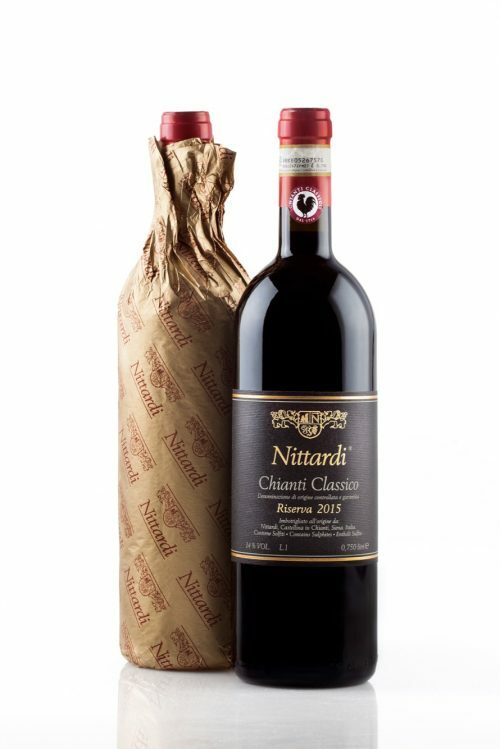 Name: Nittardi Riserva Selezionata Chianti Classico D.O.C.G. Production: Fermentation in 10.5-ton stainless steel tanks, followed by 24 months of aging in tonneaux, 6 months in a signle concrete vat and a subsequent 9 months of bottle aging. Profile: Intense ruby red, nose of blueberry, dark cherry, ripe blackberry and garrigue with notes of spices. Medium palate with elegant tannins and balanced acidity. Outstanding texture, remarkable softness with a long & persisting finish. Riserva 2015 is still a very compact and young wine that will shine in 2019. It matches perfectly with dishes of the creative Tuscan cuisine. 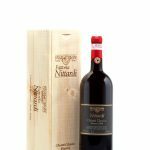 It should be served at around 16° C.
Be the first to review “Nittardi Riserva Selezionata 2015” Click here to cancel reply.